Well, here I am procrastinating, although I really hate it when I do that. I have things on the agenda today and I'll get to them, I really will. You don't believe me? Oh, ye of little faith! Anyway, I went to the physical therapist last Tuesday and we went over the course of treatment. It seems that since I try to avoid pain, I've severely limited the movement of my right arm and shoulder, leading to a "frozen" shoulder. Hmm, sounds lovely, doesn't it? Before we can start exercising and strengthening these muscles, they must be loosened by stretching. It hurts but I'm confident that in time, I'll have more freedom of movement. I still have to go to the orthopedist, once I find one that will accept my insurance. The therapist feels that the neurologist is on the right track with the idea that the pain in my hands is tendonitis/tendinitis (it's spelled both ways, apparently). He gave me some tips on relieving the pain that do help but can't treat that without a prescription from the orthopedist, which I'm confident will follow. So, we'll see. Therapy sessions will be half-hour, twice a week. Bill was off Thursday night so we ventured back into Manhattan so he could see Moonlight and Magnolias before it closes next weekend. He really enjoyed it, which I thought would happen. It's his kind of comedy. Douglas was delighted to see him. He hasn't seen him in quite awhile. We had a lovely, lively chat. For dinner, we went to an Italian restaurant on 46th (Restaurant Row). I can't remember the name, da something. Whatever. I was quite content with veal piccatta. Yum! I finished reading Triangle (The Fire That Changed America). Wow. It's a powerful book. I've recommended it to Kim because it details so much of the political climate of the time, before and after the fire, including information about Tammany Hall that I didn't know before. The owners of the factory were not found guilty, even though one exit from each floor was locked. The doors were not routinely locked the entire day, only at closing time, when the fire occurred. The judge's instructions to the jury stated that the prosecution must have proved that the owners knew the doors were locked at that particular time, making it very difficult for the jury to convict. Interestingly enough, the judge had once headed a commission that was responsible for the safety of tenement buildings. There was a devastating fire that killed many residents when fire escapes were inaccessible. The tenants would build over the fire escapes for storage or for children's play areas. The commission was held responsible, even though the head (who later became a judge) insisted that when these structures were removed, they'd be back there the next day. Consequently, the judge was more sympathetic to the owners, Harris and Blanck, than to the victims of the Triangle fire. Amazing. This week, Kingdom of Heaven opens. 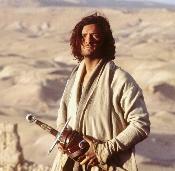 In case you've been living under a rock, Kingdom of Heaven stars the stunningly beautiful Orlando Bloom. Yes, we've already established the fact that I enjoy looking at this young man. Whoa. I'm looking forward to seeing this movie, even though it was directed by Ridley Scott, known for particularly violent, bloody films. I may be looking through my fingers a lot. Eeek. I could give you a song and dance about how I AM very interested in history and this is about the Crusades, yadda yadda. But you know the truth. I want to look at Orlando Bloom. There's the update. I should get back to my chores, which will make me enjoy the fact that I'm not outside in the rain. Rain is fine as long as I can sit inside where it's dry and cozy and watch it. P.S. Constantine?? Constantine leaves American Idol before Scott?? Is there no justice in the world?? Where's Spiderman?? This is the last day of our short break for the Passover holiday, Friday, Monday and today, Tuesday, off. On Friday evening, I ventured back to Smithtown for the final weekend of The Crucible. Sue didn't get to see the play before we interpreted it and she really wanted to see it so we went together. Kim also came to see it. I saw this one three times. I also made some brownie candy cups since Meg (Mary Warren) had requested them. I didn't eat one, which is a good thing! On Saturday, I went into Manhattan to meet Eileen and Kathy from Utah. We went to lunch at John's Pizzeria (yum! Baked Ziti!) and then went to MTC to see Douglas in Moonlight and Magnolias. I hadn't seen it since previews and the timing, pacing, was much faster this time. It's a frantic time up there and we enjoyed ourselves immensely. We were surprised to find that there was a talkback after the show so we, of course, stayed for that and then chatted with Douglas before leaving. Bill came in to meet me and we made plans to see Denzel Washington in Julius Caesar at the supposedly haunted Belasco Theatre (just ask Chuck Wagner - he has a whole website dedicated to the haunted theatre). We went to Barrymore's for dinner. They had a fresh ham special that was out of this world, as my Dad used to say. Julius Caesar was amazing! Denzel Washington (Brutus) and Eamonn Walker (Marc Antony) were outstanding. The set didn't really suggest a specific time, could have been ancient Rome, could have been more recent. The costumes were present day. In the beginning, they're walking around with rifles across their shoulders and I was thinking, please tell me they're not going to shoot Caesar. No, the only time you really noticed the recent period thing was when the conspirators were walking into the Senate and the security guards are "wanding" them with metal detectors. Funny, actually. Brutus had all the knives in a briefcase! Cool. The production is very realistic, with blood everywhere. Yikes. It's so well done, especially the scene with Antony's funeral speech over Caesar ("Friends, Romans, Countrymen...") Wow, that's all I can say. Riveting. The audience was so quiet, so into it, you could have heard a pin drop. I was in the city all day on Saturday, having taken a 10:13 train and getting back to pick up my car in the railroad parking lot around midnight, so I didn't accomplish anything on Sunday! I just lazed around the house. Yesterday and today have been set aside for cleaning and catching up on things. Physical therapy appointment later today. We'll see how that goes. Back to work tomorrow, short week, though. My apologies upfront to anyone not following this show. Recently, I don't watch a whole lot of TV anymore. I will occasionally sit down and watch what someone else has started watching or watch a movie on DVD or possibly a history channel show. Occasionally. Most of the time, once Bill goes to sleep for the evening, I read or surf the internet. My "guilty pleasure", however, is American Idol. This is the only show I will consistently watch every week. Go figure. Anyway, this season, I really liked everyone on this show. Last season I was getting seriously fed up with some of the female contestants. I just wanted them to go away! Increasingly, in the last three weeks, however, I've really wanted Scott to disappear. At first, I thought it was pretty cool that a guy who just doesn't look the part has gotten this far. After word of his treatment of his former girlfriend, however, I'm starting to find he's grating on my nerves. Just go away, already. So, tonight, Anwar gets the lowest number of votes and is leaving. I will agree that he hasn't made the best song choices but I would have liked to see him stay and Scott go. I still think the remaining three will be Bo, Constantine and Carrie. I just love Bo and Constantine. They're just so darn cool. I have an appt. for physical therapy next Tuesday afternoon. I really hope this helps. According to Billy, whose friend, Jesse, is a physical therapy asst., this is work. Heck, I was hoping someone would give me a massage or something. We'll see how it goes. Friday, Monday and Tuesday are days off for the Passover holiday. Monday is the only day in the calendar. Friday and Tuesday are unused snow days. It's a beautiful thing. Speaking of beautiful, the weather the last two days has been nothing short of spectacular. It will be more seasonable for the next week but that's ok. This was a nice taste of things to come. Looks like Pooh enjoyed American Idol as well. Sue and I will be interpreting The Crucible at Smithtown (newsday review) Thursday evening. Bill and I saw the play this past Saturday evening. It's so good. I absolutely love this play. It's my favorite and I've read it many times. I was still on the edge of my seat. So, if you'd like to see an interpreted version of a very good play, I invite you to join us at Smithtown Center for the Performing Arts this Thursday evening. Call for info: 631-724-3700. If you need travel info, email me. Washington, DC-By popular demand, Ford's Theatre has extended the run of Deaf West Theatre's Big River: The Adventures of Huckleberry Finn, through Saturday, June 4. Tickets for the additional 40 performances will go on sale to the general public on Sunday, April 10, through the Ford's Theatre Box Office and Ticketmaster. Deaf West's American Sign Language (ASL) adaptation of Mark Twain's classic, which features Tony nominee Michael McElroy and Gallaudet University student Christopher B. Corrigan, had been scheduled to close on May 1, 2005. Jeff Calhoun, the Tony nominated visionary whiz who developed the original production at Deaf West in North Hollywood, directs and choreographs. Music and lyrics are by Roger Miller, with book by William Hauptman (adapted from the novel by Mark Twain). This innovative co-production with Ford's Theatre, Deaf West Theatre and Atlanta's Theatre of the Stars includes deaf, hard of hearing and hearing actors in a synchronized performance that utilizes spoken English, American Sign Language (ASL), gestures, dance and song. Those elements, paired with storytelling techniques from deaf and hearing cultures, form a "third language" that creates a groundbreaking theatrical experience. The show is produced by Atlanta's Theatre of the Stars and Deaf West Theatre, in association with Ford's Theatre, Dallas Summer Musicals, Houston's Theater Under the Stars, Boston's Wang Center for the Performing Arts, in association with the Center Theater Group, Roundabout Theater Company and Jeff Calhoun. Ford's production of Big River: The Adventures of Huckleberry Finn is made possible by the generous support of Nortel, Raytheon and ExxonMobil. For more information on Ford's Theatre, please call (202) 347-4833 or visit www.fordstheatre.org. Gift certificates in any denomination may be purchased at the Ford's Theatre Box Office or by calling 202-347-4833. Info also posted on Big River page. Well, I went back to the neurologist today. He said that the neck and shoulder pain is caused by bone spurs in my neck, causing arthritis or, more specifically, cervical spondylosis. The bone spurs are pinching nerves. It's not affecting the spinal cord so it's not debilitating, which is a good thing. I have to start physical therapy and after four weeks, I'll go back to the neurologist. I hope that helps because it's annoying. I can't lift my right arm all the way above my shoulder. It's interesting that I don't have a lot of pain anymore because I know what I should and shouldn't do. It's still annoying when I sleep, though. The pain in my hands is not caused by the problem in my neck, however, because the trouble in my neck is too high up to affect my hands. The neurologist thinks the pain might be caused by tendonitis so I have to go to an orthopedist now. Apparently, the treatment is very much the same for tendonitis as for carpal tunnel, anti-inflammatories (Advil), ice, rest in a brace. Physical therapy might help, too. When I went to the neurologist the last time and he wanted me to go for the MRI, he said I needed a cervical MRI. I was confused because to women, cervical makes us think of a completely different area of the body! I said, huh? He had to explain he meant my neck. Oh, ok. Every woman I told about the test said the same thing. "You need an MRI where??" So, I started to say that I needed a cervical SPINE MRI. I'm reading a book about the Triangle fire of March, 1911. It's called Triangle, The Fire That Changed America by David von Drehle. It's very well-written. Often, books about historical topics are dry, just presenting the facts. This one reads like a novel. What a terribly sad story. There are pictures in the center of the book and that, along with having seen the building, allows me to picture the scene vividly. This book also includes what is probably the most complete list of the victims of the fire. It seems that newspaper reporting was wildly inaccurate at the time and it was difficult to get a complete and accurate list in the newspapers of the day. It's hard to believe that the fire moved as quickly as it did. Within twenty minutes, it was all over. Chilling. Although it's a tad chilly today, it was in the 70's yesterday. Yes! It was so nice. It was very windy today and I think we're expecting some rain. Ah, well. 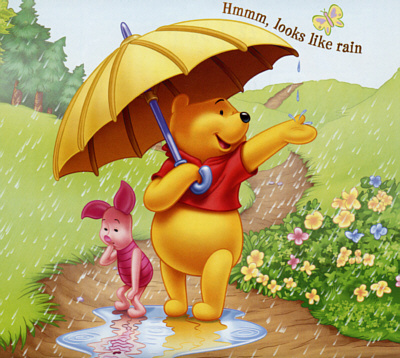 Yep, it's been looking like rain pretty much since Spring has been upon us! We had very heavy, look for the ark kind of rain yesterday. It was really windy, too. Tomorrow, the forecast is for a few showers and Tuesday, if all goes well, looks like a beautiful day, with sun and warmer temperatures. That will be nice to see. I had a nerve conduction test recently which proved that, despite what I thought and what the doctors have thought all these years, I don't have carpal tunnel syndrome. The test was normal. The neurologist was really surprised and said it would have been nice to just have a diagnosis instead of having to investigate further. He suspects it may be a pinched nerve in my neck (because I have pain from my right shoulder radiating down my arm to my hand), a disc problem, arthritis in the joints at the base of my thumbs or, more likely, a combination of these. I had a cervical spine MRI Friday evening, which was a really unnerving experience. I don't like enclosed spaces and when I'm in a tight space, I tend to fidget so having to lie still in this enclosed machine for 15 minutes was pure torture. I had to force myself to calm down. I managed, though. I go back to the neurologist on Thursday afternoon so I hope I'll know what's happening then.